Entertainment and drama are going on the road in Tamworth over the coming weeks and months when local theatre continues its tour for the summer season. The project, entitled Touring Theatre, will deliver a variety of professional productions to venues across the town of Tamworth and wider borough area. Tamworth Borough Council's Arts and Events team have been working hard to create a new and varied line up of shows and acts for Tamworth families and visitors to enjoy over the coming months. 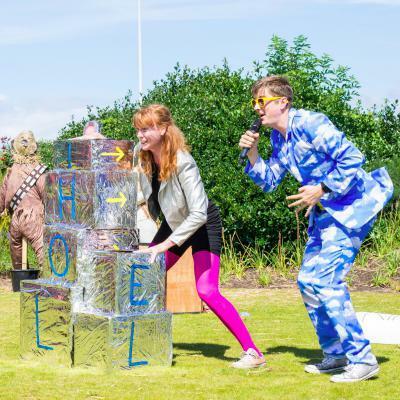 This includes additional shows under the umbrella of Assembly Rooms on Tour, taking some of the theatre's favourite performers out into community locations and at major outdoor events. The new line-up starts at Tamworth's Sacred Heart Church on Friday 18 May from 7pm with the screening of Nosferatu: A Symphony of Horror, the classic 1922 silent horror movie accompanied by live music. The movie is commonly known as the first cinematic adaption of Dracula and was largely responsible for popularising vampire myths. Tickets are priced at £8 adults, £6 concessions and £25 for a family group comprising two adults and two children. 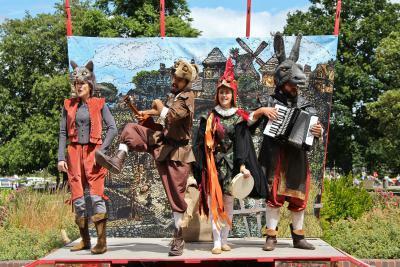 Next up is The Town Band of Bremen at Tamworth Castle Grounds on May 29, with shows at 11am and 2pm. The Fabularium are back with their outdoor family show about four fellow animals who all share a passion for music. The free show, which includes storytelling, live music, mask work and puppetry, tells the story of the mismatched musical family as they journey to play the gig of a lifetime. Audiences are welcome to bring blankets, deck chairs and a picnic. Tamworth Castle Grounds is again the location for a show, called Marie Celestial, which is presented by Liberty Rocks on Saturday 9 June at 11am and 2.30pm. 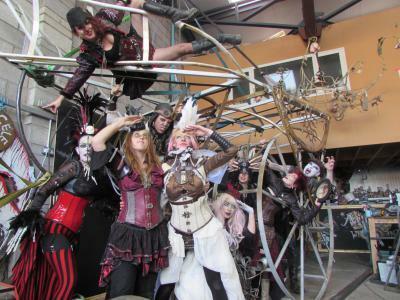 People are invited to visit the upper lawn of the castle grounds for the live aerial circus which features a large mechanical space galleon, created from recycled objects. The galleon will house a physical theatre performance taking place throughout the vessel and the surrounding area. The free show tells the story of a strange and otherworldly culture of people from a destroyed planet who are trying to revive their broken, semi-sentient vessel, known as the Marie Celestial. The performance is a combination of clockwork, fire and puppetry for all the family to enjoy. Touring Theatre then moves to Tamworth Library on Saturday 1 September with two free performance of Space Rebel Princess at 11am and 2pm. The show describes the story of a fearless princess who was raised for royalty but who dreams of becoming an astronaut. Aimed at children aged 3 to 8 and their families, the interactive performance includes dance by esteemed performer Jennifer Essex accompanied by award-winning poet Harry Man. The packed programme of outdoor entertainment has been put together while the historic Tamworth Assembly Rooms continues its major refurbishment work People are invited to follow the Assembly Rooms Development Blog and see a touring exhibition as it makes its way across various locations in Tamworth. Full information can be found at: www.tamworthartsandevents.co.uk/blog Full information on all events and performances, including ticket details, is available online at: www.tamworthartsandevents.co.uk or by calling the Box Office on 01827 709618.